In early July, I had the distinct privilege to participate in the State Department’s panel on “Advancing Inclusive Economic Growth for Youth and Women through Technology “ in Washington, D.C. 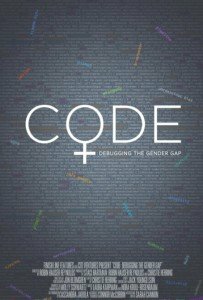 The event also held a special screening of a new documentary Code: Debugging the Gender Gap directed by Robin Hauser Reynolds and was closed by the United States Chief Technology Officer, Megan Smith. The film examines the reasons why more girls and people of color are not seeking opportunities in computer science. It does an incredible job of explaining how cultural mindsets, stereotypes, educational hurdles and sexism all play roles in creating barriers in these fields. CODE asks the audience to think about “what would society gain from having more women and minorities code?” and provides real life examples of what happens when these groups are excluded from the conversation. 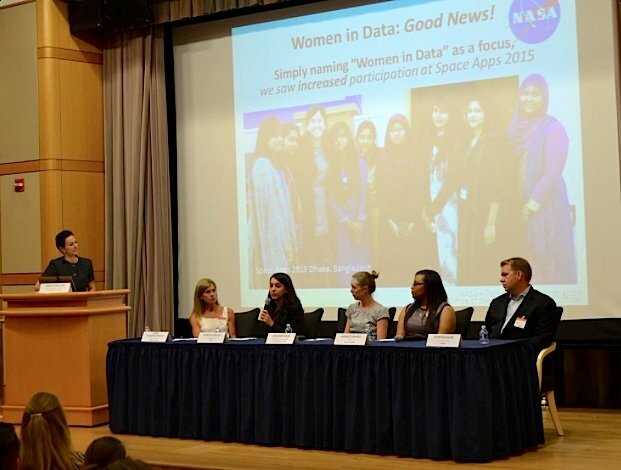 The panel provided an opportunity to discuss the endeavors NASA is undertaking to engage more women with the agency’s data and share those ideas and lessons learned with other federal agencies. The Open Innovation team has been hard at work in crafting the Datanauts program. We’re creating opportunities to build or refine skills, collaborate to solve data puzzles, grow the network of emerging data techies, test datasets and tools, create visualizations and applications, and host data engagements and mini-challenges in their local communities that will supplement the annual International Space Apps Challenge. It was an honor to participate and be surrounded by so many inspiring women who aren’t afraid to tackle the tough gender issues facing this country. I admire their tenacity, intelligence and thoughtfulness in exposing and sharing their experiences. The awareness raised by their efforts will surely help STEM the tide (no pun intended) of the gender gap in my generation. Finally, I would like to thank Dr. Vanessa Beary and her team for organizing such a great event!